Due to the restrictions placed on Japan from selling its Armoured Vehicles abroad, it doesn’t market them, therefore there is lesser information available for research. 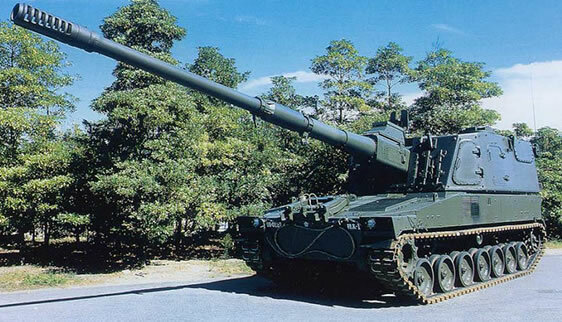 The Type 99 SPG’s development started back in the 1980’s with developments in an increase in the main guns calibre length to 39 from the Type 75’s 30 and an increase to 600hp, so as to provide a higher level of mobility. It entered production with Mitsubishi and Japanese Steel Works in 2002 and is being manufactured at a rate of 7 to 8 a year to replace the Type 75 SPG artillery.